…Oh! One More Thing! I Need that Magic! Last week I just happened to be present when a brand new volunteer, Glenna was returning a memory bear she had made. Glenna has been volunteering for about six months now and is doing so because she is unemployed, looking very hard for another job and almost desperately wants to give back. Glenna is quiet, pounded by rejections and extremely talented. Memory bears, you probably know, are teddy bears sewn from articles of clothing a bereaved person chooses to represent the loved one who died. 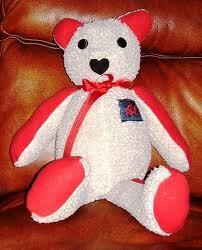 Bears are fashioned from bowling shirts, uniforms, blouses, event T-shirts, night-clothes and even baby blankets. They are soulful, oozing personality and cherished by the recipient. Glenna dropped off her freshly done bear and as I admired the pocket she had incorporated from the “Gilly’s Tavern” t-shirt on it, we chatted about the bear she had brought in the week before. It was a bear from an obviously well-worn Bait Shop t-shirt. Glenna was telling me how her own father had loved to take her fishing when she was a little girl. He had died when she was only 15 and she wistfully talked about the time she caught a fish and dragged it up onto shore, her father laughing all the while. Glenna wiped a tear, apologizing for “taking up so much time” when the bereavement counselor, Sharon, walked in. I introduced Glenna to Sharon and Sharon thanked Glenna for making the memory bears. “Our clients just love them,” Sharon said and Glenna nodded. I could tell that Sharon was in a hurry, which was nothing new for a bereavement counselor. But bereavement counselors, I’ve found, have this aura about them that feels so, well…. kind. I could see Glenna’s eyes go wide and her mouth trembled, “that’s something my father always said to me.” She was crying now. (ok, me too). Sharon beamed. 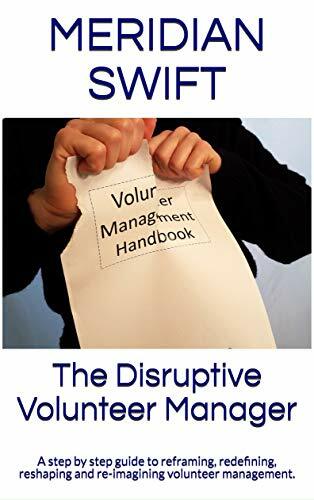 We can tell volunteers how meaningful their work is, but when their ears fill with real stories and examples, now that’s beyond volunteer management. It’s the magic of our job, the moment that we know exists, but we, as managers, well, we know to go looking for it and to stand back and let it happen. What do our volunteers need? Ahhhhh, many, many things. Sometimes recognition, sometimes socialization, sometimes to be left alone, and sometimes, they need a magic moment. Frankly, we need it too. 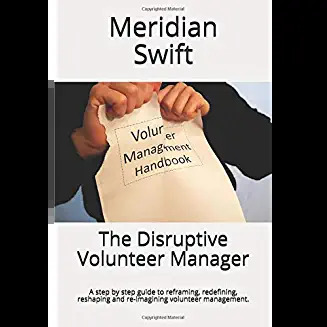 A lovely story, illustrating some of the finer nuances of good communication – a vital attribute for volunteers, and their managers. Thanks Sue, it’s like connecting the dots, except the dots are hidden and you have to go find them or sometimes you get lucky and they just magically appear!